German Cardinal Priest ‘W.K’ Turns 80 But Remains An Elector. College = 207, Electors = 117, Non-Electors = 90. On Tuesday, March 5, 2013, the 5th full day of the 2013 sede vacante, the ex-curial German Cardinal Priest ‘W.K’ turned 80. But, he remains a cardinal elector since the 80-year cut off for voting in the upcoming conclave, per the norms, was the day PRIOR to the start of the sede vacante. The sede vacante started on February 28, 2013. So the cut-off was February 27. He was under 80 on that day. Those are the rules per Universi Dominici Gregis (UDG). Yes, John Paul II, quite astutely, changed the cut-off day. It used to be the day of the conclave. Per that rule the German cardinal would not have been an elector. But, John Paul II realized that the cardinals had the power to set the start of the conclave to be 15 to 20 full days from the start of the s.v. — it was that 5 day leeway that he was concerned about. The cardinals could have pushed back the start to 16, 17 or 20 days to make sure that one of their peers made the cut. John Paul II, who never climbed down from the cross, did not anticipate that any pope would be fickle enough to resign (though his UDG and Canon Law permits it). So, he kept on thinking that a s.v. would only happen when a pope died. Though we know that the time of death can be manipulated, by and large it is difficult to mess around with a pope’s death for much more than 24 hours. So, per John Paul II’s thinking, the start of a s.v. couldn’t really be manipulated — because he didn’t take into account weak popes that would throw up their hands and say: ‘this is way to hard for poor me. I quit‘. By setting the cut-off to the day before the s.v. he wanted to minimize the possibility of cardinals manipulating the eligibility. Ironically, Benedict XVI, foiled him. It is now very obvious that Benedict timed his resignation fully aware that his fellow German would get to take part in the conclave. 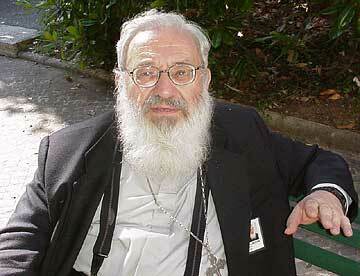 Equally you have to feel sorry for poor ol’ Cardinal Husar who turned 80 on February 26 — the day before the cut-off! That too was planned. He should feel slighted and offended. If Benedict had resigned on his birthday he would still have been eligible because he would have been 79 the day before. So we will have a 80 year old cardinal elector at this conclave. That was always a possibility and I had discussed it in detail in my ‘The Next Pope 2011‘ book. Yes, it is a record. since the over-80 limitation which became law in January 1971. This is the 8th change to the College in 2013. The College is down to 207 (still quite high), with the electors at 117. As of March 5, 2013, Electors = 117, Non-Electors = 90. The College as of February 28, 2013 is at 207. March 5, 2013: German cardinal priest ‘W.K.’ turns 80 but remains an elector. Feb 28, 2013: 92-Year Old French Cardinal Priest Jean Honoré Dies. Feb 26, 2013: Husar ages out. O’Brien retires. 92-Year Old French Cardinal Priest Jean Honoré Dies. College = 207, Electors = 117, Non-Electors = 90. On Thursday, February 28, 2013, Pope Benedict XVI’s last day. As of February 28, 2013, Electors = 117, Non-Electors = 90. I will update the Stats chart later. No biggie. He was a non-elector. Cardinal Husar Ages Out. O’Brien Resigns. College = 208, Electors = 117, Non-Electors = 91. Cardinal Lubomyr Husar, M.S.U. becomes non-elector. On Tuesday, February 26, 2013, Ukrainian Cardinal Priest Lubomyr Husar, M.S.U. turned 80 and ceased to be an elector — one day ahead of the cutoff date for the 2013 conclave. He had participated in the 2005 conclave, so at least he got to savor the experience once. He was elected Archbishop Major of Lviv of the Ukrainians in January 2001. He was created a month later. He retired from diocesan duties in just ahead of his 76th birthday. He had eye troubles. O’Brien, implicated of improper sexual behavior, resigned as Archbishop of Saint Andrews and Edinburgh – ahead of his 75th birthday. He still remains a cardinal, though he has opted not to participate in the 2013 conclave (probably to the great relief of the younger cardinals). This is the 6th change to the College in 2013. The College is down to 208 (still quite high), with the electors at 117. As of February 26, 2013, Electors = 117, Non-Electors = 91. 94-Year Old Italian Cardinal Priest Giovanni Cheli Dies. College = 209, Electors = 118, Non-Electors = 91. On Friday, February 8, 2013, 94-Year Old Italian Cardinal Priest Giovanni Cheli [dob: Oct. 4, 1918], President Emeritus, Pontifical Council for the Pastoral Care of Migrants and Itinerants, died in Rome. He had been a mainstay in Rome and a seasoned diplomat since the late 1940s. He was the Domestic Prelate to Paul VI (#263) in 1965. He was the first named Holy See permanent observer to the U.N., in July 1973. He became a titular archbishop in 1978. He was President of the Pontifical Council for M & I from 1989 until June 1998, when he retired aged 79 (with the nominal retirement age 75). This is the 4th change to the College in 2013, and the second death. It was March 9 before we saw two deaths in 2012. Asti, where the cardinal was born, grew up, studied and was a priest. The College is down to 209 (still quite high), with the electors at 118 — two short of the magic ‘120’ mark. As of February 8, 2013, Electors = 118, Non-Electors = 91. The College as of February 8, 2013 is at 209. Mexican Cardinal Deacon Cardinal Javier Lozano Barragán Turns 80. College = 210, Electors = 118, Non-Electors = 92. Cardinal Javier Lozano Barragán now 80, and a non-elector. On Saturday, January 26, 2013, Mexican Cardinal Deacon Javier Lozano Barragán turned 80 and thus ceased to be a cardinal elector. He was the President of the Pontifical Council for the Pastoral of the Health Care Workers from October 1996 to April 2009 (getting reappointed after the 2005 sede vacante), retiring at 76 one year past the nominal 75-year limit. He was created a cardinal deacon in October 2003. This is the 3rd change to the College in 2013, and the first aging out. There has now been one of each: aging out, retirement and death. 2013 changes are at the same pace as last year, for now. Pastoral care worker, the cardinal’s constituents. From the L.A. Times (with thanks). The College is down to 210 (still quite high), with the electors at 118 — two short of the magic ‘120’ mark. As of January 26, 2013, Electors = 118, Non-Electors = 92. The College as of January 23, 2013 is at 210. 83 Year Old Polish Cardinal Priest Józef Glemp Dies. College = 210, Electors = 119, Non-Electors = 91. Polish Cardinal Józef Glemp, R.I.P. During the night of Wednesday, January 23, 2013, 83-year old, Ex-Archbishop of Warsaw and former Primate of Poland, Józef Glemp dob: Dec. 18, 1929] died of lung cancer at a hospital in Warsaw. He was created a cardinal priest in February 1983 and appointed Archbishop of Warsaw and Primate of Poland on March 25, 1992. He retired from the archbishopric in December 2006 days prior to his 77th birthday. He was Primate until he turned 80 in 2009. This is the 2nd change to the College in 2013, and the first death. The first death in 2012 was on February 1. By this time last year, there had been three changes. 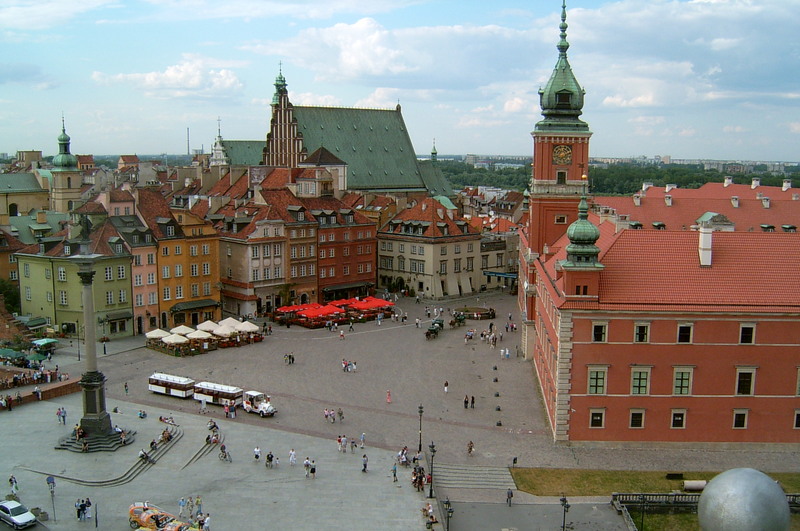 Royal Castle Square, Warsaw, Poland. The College is down to 2010 (still quite high), with the electors at 119 — one short of the magic ‘120’ mark. As of January 23, 2013, Electors = 119, Non-Electors = 91.